Sanford Prebys Medical Discovery Institute (SBP) researchers recently discovered an alternative metabolic pathway that might be used by cancer cells to survive nutrient deprivation. As reported May 3 in the journal Molecular Cell, two proteins belonging to the PI5P4K family of enzymes— PI5P4Kα and PI5P4Kβ —are critical for a process called autophagy, which provides nutrients to starving cells by recycling cellular compartments. According to the authors, targeting these proteins to disrupt autophagy in cancer cells is an exciting therapeutic strategy that could minimize toxicity. 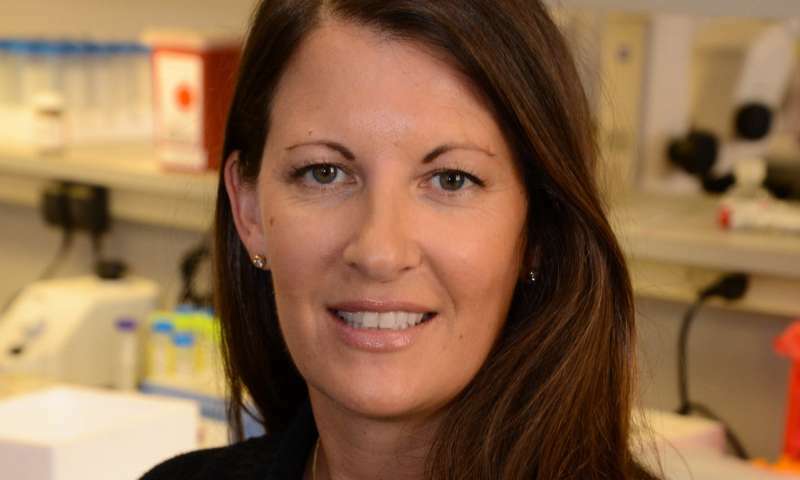 "The importance of this alternative pathway has been obscure since the discovery of these enzymes by the Lewis Cantley laboratory 20 years ago," says senior study author Brooke Emerling, Ph.D., assistant professor of the Cancer Metabolism and Signaling Networks Program at SBP. "Our study identifies a novel regulatory step in the process of autophagy and sheds light on the anti-cancer potential of PI5P4K inihibitors."